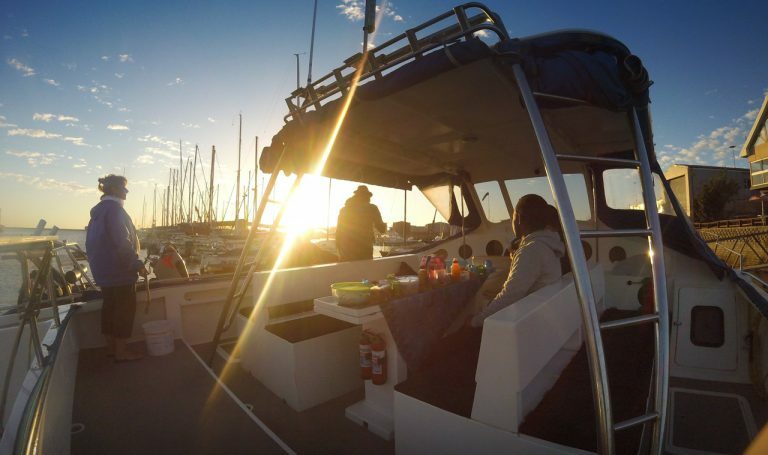 Stampede Cruises offers a unique boating experience combining a deep love of nature & conservation with a strong desire to share all that Algoa Bay has to offer with both local and international visitors alike. Our chartered tours around Algoa Bay are relaxed and fun with a touch of adventure, exploration and discovery. From the Islands to the sea life, our bay has something for all. Port Elizabeth and Algoa Bay owe their prolific sea life and beauty in part to the notorious winds and rough seas that frequent this area. With our local knowledge we are able to provide a cruise that is not only safe, but showcases this natural beauty in a fun and enjoyable manner that is also friendly to the environment. Nature ensures that every trip is a new experience. The relaxed comfort on board a spacious catamaran, either seated on the sheltered bridgedeck saloon or upfront on the trampoline in the breeze, together with the anticipation of marine wild life sightings on the day will ensure you have an adventurous and fun-filled day. Both the vessel and crew comply strictly with all local safety regulations. All tours are subject to prevailing weather conditions with a full refund for all cancellations due to inclement weather or sea conditions. We believe in responsible conservation. 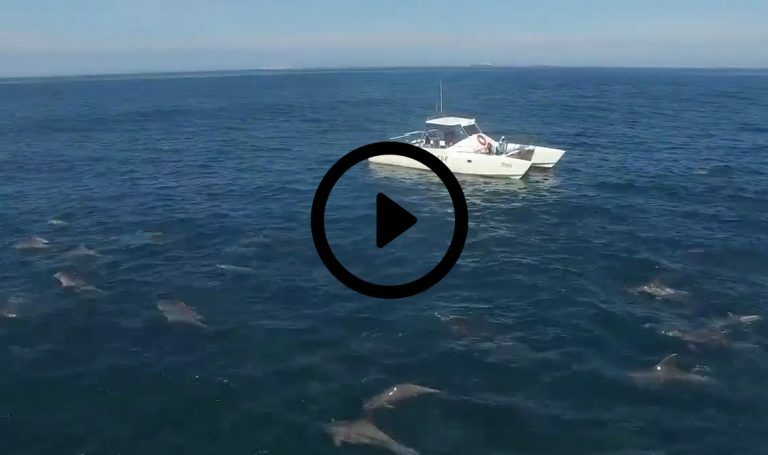 Marine animal viewing is always in line with regulations and current conservation efforts. Whale watching – Regulations stipulate that we maintain at least a 300 meter distance between our vessel and any whale species. Our blog includes pictures and short video clips taken from some recent trips as well as any news and current information which may be useful to you. A new Captain, but still the same great experience. 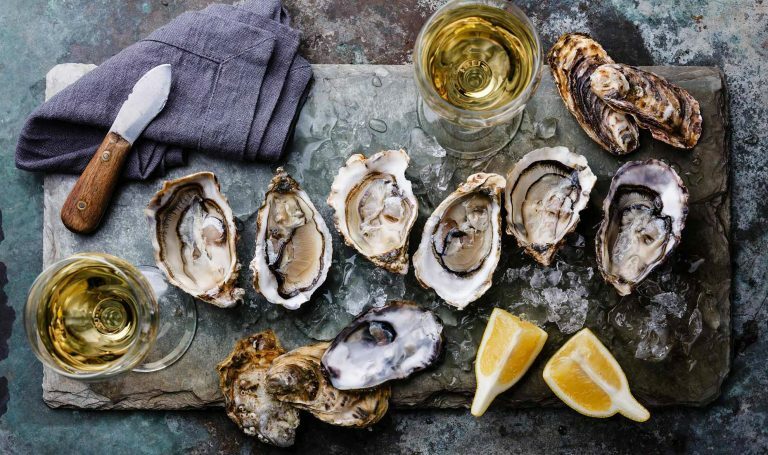 Stampede introduces a new boat cruise for Algoa Bay! Weather forecasts are very accurate these days. In the interests of safety and your enjoyment, it is important for you to know that we will not embark on any cruises unless we are assured of good conditions.